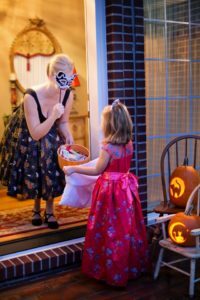 Where to Trick or Treating this Halloween in the High Country! Trick or Treating in the High Country! Where to take the small ones to get a years worth of candy in one night. Halloween is that wonderful time of the year of dressing up in silly costumes, getting a thrill from spooky haunted houses and of course- TRICK OR TREAT CANDY! But where do you go to get to hit the sweet treat jack pot? Vincent Properties real estate broker and father of 3, Stephen McDaniel has done the research for you to bring home the gold (wrapped candies, that is)! Boone Boo! – Visit the Jones House in downtown Boone and go from store to store where merchants stay open to greet the little ghost and goblins – plenty of other events for the kids on the Jones House Lawn. Costume contest, Arts and Crafts, and more. Boone Mall – Visit the mall for some indoor fun, especially if the weather does not cooperate. Appalachian State University – Stop by several of the dormitories for some candy treats and neat Halloween fun. Downtown Halloween Festival – lots of activities, games, fun, prizes food and a monster march down main street. 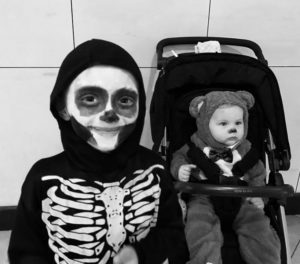 If you haven’t ever seen 100+ cute kids walking down the street dressed in costume, you will not want to miss this. The Blowing Rock Parks and Rec Department really puts on a good show for the kids. Trick or Treat with the town merchants as well. First Baptist Blowing Rock, Trunk or Treat – visit numerous cars with different spooky themes and get candy and food along the way. Central location for quick and easy Halloween fun. Tweetsie Railroad – For the whole month of October the theme park turns ghoulish with a themed trained ride, scary forest and other Halloween events and shows. Only open for certain nights and tickets are required but plenty of fun for a wide range of ages. These are just a few of the highlights of places to get your candy fix and hear some screams. Plenty of other churches venues and meeting places offer events as well. Check the local papers and websites to find something near you that fits your schedule and age range. Don’t forget the numerous pumpkin patches and corn mazes to augment the Halloween and Autumn Fun in the High Country! Stay tuned for Stephen’s list of recommended Children’s Dentist in the High Country! Stephen McDaniel’s oldest sons all dressed up for Halloween 2016!